A certified hypnotherapist, Kevin Lepine’s show has razor-sharp comedy and mind-blowing hypnosis. You might even be selected to join him onstage! 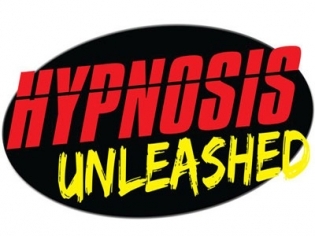 Save up to $6.50 off tickets to see Kevin Lepine: Hypnosis Unleashed. Award-winning, ever-popular hypnotist Kevin Lepine will take the entire audience on a wild ride of hilarious comedy and unscripted hypnosis that will have you laughing so hard you will cry! The best hypnosis show in Vegas, Kevin Lepine creates hilarious scenarios that vary from show to show and by participant. Whether you volunteer or remain part of the audience, you will have a wonderful time. Kevin is high energy, yet charming and professional, while he leads the volunteers into hilarious situations and entertaining antics. Definitely an adult-themed show, but the antics are all in good fun. You must either volunteer or have a member of your party on stage to make the experience the most personal. Purchase of a DVD at the end of the show is optional, but really a must for those who went onstage to see what happened while they were “under!” Truly a show of audience participation, Kevin Lepine is a master at manipulating his subject so that everyone is laughing during the entire show. He is an awesome hypnotist with a great show at a great price. I would definitely go back!!! I took my friends here last week and I’m sure glad we went! The act is really funny, and very adult, so don’t bring the children to see this one. This show was awesome! It is appropriate for adult and older teen audiences because of the language and some of the material. Kevin Lepine is an amazing hypnotist. From beginning to end, the show he put on was absolutely hilarious. If you are looking for a lively and exciting show, this is certainly a good choice.